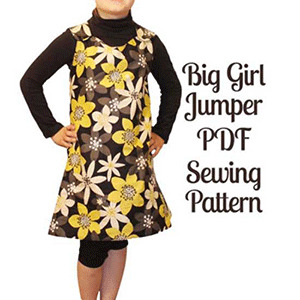 This is a sewing pattern to make your own big girl jumpers. The design is reversible so you can use two fabrics for two jumpers in one! Use the girl jumper as a summer tank dress or as a winter jumper over a long sleeve shirt and tights. This girl jumper coordinates great with a pair of leggings and turtleneck or simply wear it alone for a great summer tank dress! 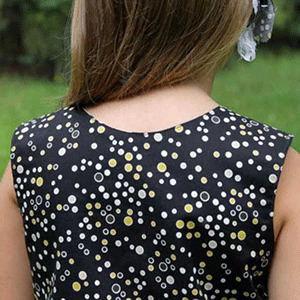 This is a beginner level sewing pattern. 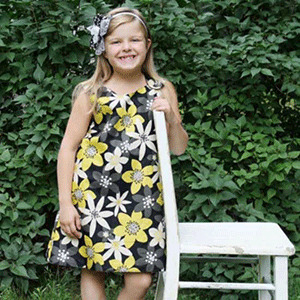 This pattern is available in sizes 4 to 14. 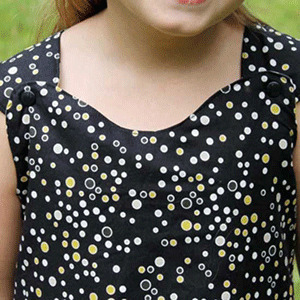 Suggested fabrics are cotton jersey and woven cottons. 1 yard each for all sizes.